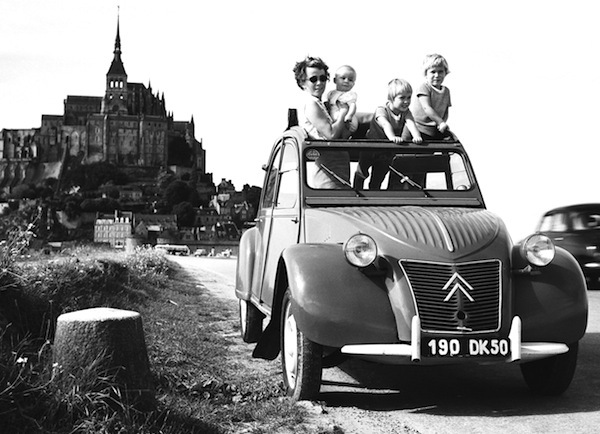 The Citroen 2CV is unveiled at the 1948 Paris Auto Show. Finally a frank year of growth for the new car market in France: up 64% overall to 120.557 registrations, including 50.253 cars and buses, a 4-fold improvement on 1947, and 70.304 trucks, up 27%. Other official figures for the model year 1948 (October 1947-September 1948) show 34.389 passenger car and light commercial sales over the period, which is consistent with Full Year 1948 data. Model Year 1948 sales data by brand is available, showing Renault with a thin edge over Citroen at 25.7% vs. 25.5% share just above Peugeot at 23.3% with Simca in 4th at 11.6% and Ford France in 5th at 6.4%. Foreign carmakers hold a tiny 2.6% of the French market at the time. 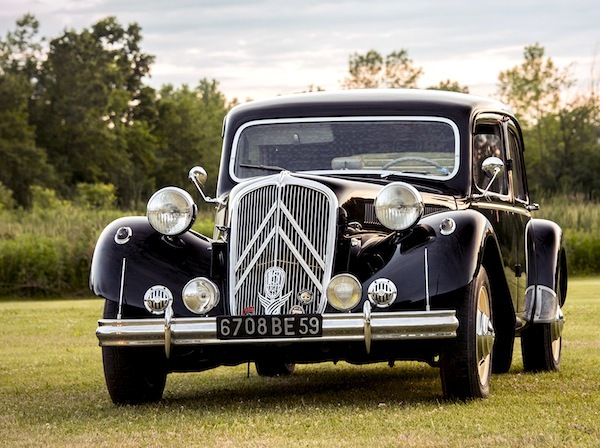 Given the importance of commercial vehicles in Renault sales during the period, it is fair to estimate that 1948 is the last year of reign for the Citroen Traction Avant before the Renault 4CV really ramps up in 1949 and before the 2CV, unveiled at the Paris Auto Show in September 1948, becomes the brand’s best seller in the early fifties. Full Year 1948 Top 10 brands (sales) and Top 24 brands (production) Ranking Tables below.